We’d love your help. Let us know what’s wrong with this preview of To Win Her Heart by Candee Fick. Sir Grayson Wentwo A deathbed promise puts one man at odds with the desire of his heart while one woman’s duty to family may cost her everything she’d ever dreamed of. To ask other readers questions about To Win Her Heart, please sign up. Grayson has been away from his home for many years, studying and learning what he needs to know to take over from his father. Called back home as his father is dying, he promises to find a wife and win her heart. Then, among his father's papers, he finds a blank betrothal contract between his father and Lord Bainbridge, effectively binding him to one of Lord Bainbridge's three daughters. Visiting the man to discuss this, he finds that the two elder are basically betrothed already, while the youn Grayson has been away from his home for many years, studying and learning what he needs to know to take over from his father. Called back home as his father is dying, he promises to find a wife and win her heart. Then, among his father's papers, he finds a blank betrothal contract between his father and Lord Bainbridge, effectively binding him to one of Lord Bainbridge's three daughters. Visiting the man to discuss this, he finds that the two elder are basically betrothed already, while the youngest, Phoebe, has a suitor who is much to her taste, though not at all to her father's. At the same time, though, he meets a cousin, Emma, who, though as well bred as any of the others, is treated like a servant. Bound in honour to follow through with his father's promise, he attempts to get to know Phoebe, but it is Emma who captures his heart. So which will win - head or heart? And when Lord Bainbridge decides to take a hand, will he be left with any choice in the matter anyway? As with previous books I've read by the author, this is well-written, and the plot is managed nicely. I enjoyed getting to know the characters (well, Emma, Grayson and some of the servants - and I guess one isn't meant to like the rest! ), and the storyline was not either too predictable or annoyingly improbable. Though part of a series, there is no connection between the storylines, so they can be read independently and in any order. All in all, a good story. This is a delightful story that drew me in from the first chapter with a traditional good vs evil theme with a hint of fairy tale. The heroine believes that she is the penniless, orphan cousin who has no future prospects other than to comply to the wishes of her relatives in order to maintain food and shelter. She feels trapped in servitude when she's not even a paid servant. Meanwhile, the hero is bound by his honor and integrity to uphold a betrothal contract signed by his father. What he does This is a delightful story that drew me in from the first chapter with a traditional good vs evil theme with a hint of fairy tale. The heroine believes that she is the penniless, orphan cousin who has no future prospects other than to comply to the wishes of her relatives in order to maintain food and shelter. She feels trapped in servitude when she's not even a paid servant. Meanwhile, the hero is bound by his honor and integrity to uphold a betrothal contract signed by his father. What he doesn't expect is to be cornered into a seemingly no-win situation. Emma and Grayson are absolutely perfect for each other, but Emma's conniving uncle seeks to thwart every attempt at their happiness. At one point in the story, I was trying to figure out how the author would untangle the trap that Grayson found himself in! But, their faith in God and prayers are obviously heard such that good wins out in the end with a fairy tale ending. Another very sweet story by Candee Fick. This was a very touching and enjoyable story that had a lot of good old family values woven throughout the story. Grayson has returned from school because his father is dying and now he must take over as the baron. Searching through papers after the reading of the will, he comes upon two things that he feels must be completed before he begins work on his family home, land and holdings. He has promised his father that he will search for a wife and he makes Another very sweet story by Candee Fick. This was a very touching and enjoyable story that had a lot of good old family values woven throughout the story. Grayson has returned from school because his father is dying and now he must take over as the baron. Searching through papers after the reading of the will, he comes upon two things that he feels must be completed before he begins work on his family home, land and holdings. He has promised his father that he will search for a wife and he makes a trip to another baron with 3 daughters and a niece, Emma who is more servant than family. Grayson and Emma both have a great deal of faith and try to see God's will, but ---- ! Very good characters with a complicated story - but maybe some strong reality included. A clean story that was hard to put down. I received an ARC copy of this book. This is my voluntary review with my own honest thoughts and opinions. What a delight it was to read this book! Both Grayson and Emma found themselves stuck in dire circumstances not of their doing, yet sought truth and honor in their reactions to those predicaments. It was easy to love those characters. The minor characters were quite believably written, as well. The pace of this book was just right, and I was always surprised at the turns of events throughout the story. I recommend this book for readers of historical romance. I received an e-ARC of this book from t What a delight it was to read this book! Both Grayson and Emma found themselves stuck in dire circumstances not of their doing, yet sought truth and honor in their reactions to those predicaments. It was easy to love those characters. The minor characters were quite believably written, as well. I received an e-ARC of this book from the author for review purposes. The thoughts expressed here are my own. Sometimes we suffer at the hands of others, but if we trust God, He will show us our path through the darkness. Grayson and Emma did that. By relying on God to lead them, He led them to each other. I thought this started a little slow, but well worth the read to see this adventure unfold. 4 1/2 Stars! Candee Fick's book To Win Her Heart (number 2 of Within the Castle Gates) is a great fairy tale. I really enjoyed the different premise on a classic tale. Emma grew up on the coast of Cornwall with dreams of King Arthur's castle but her life is changed after the death of her parents and she is in servitude to her wealthy cousins. Then Grayson Wentworth comes to stay. He is in search of a wife because his lands need the money only to be tricked into offering for Emma's young cousin. 4 1/2 Stars! 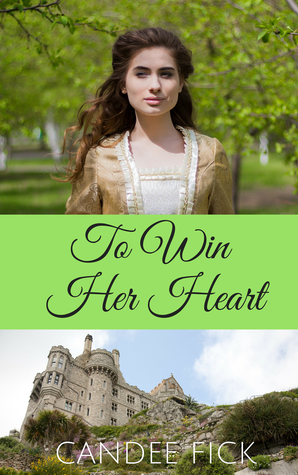 Candee Fick's book To Win Her Heart (number 2 of Within the Castle Gates) is a great fairy tale. I really enjoyed the different premise on a classic tale. 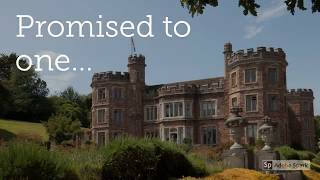 Emma grew up on the coast of Cornwall with dreams of King Arthur's castle but her life is changed after the death of her parents and she is in servitude to her wealthy cousins. Then Grayson Wentworth comes to stay. He is in search of a wife because his lands need the money only to be tricked into offering for Emma's young cousin. Love, jealousy and intrigue makes this a wonderful story. I can't wait for the book in the series. In addition to her non-fiction devotionals, she writes faith-based romance novels for the Bling! Romance imprint. She is a member of American Christian Fict Author of inspirational romance, non-fiction, and devotionals. Candee is married to a high school football coach and is the mother of three, including a child with special needs (thus providing inspiration for her first two non-fiction titles).